Richard is a Forthright Press author. 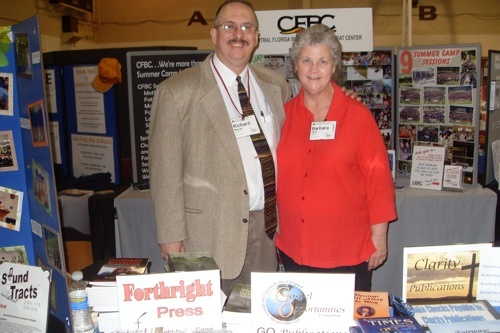 Here, with Barbara A. Oliver at the FHU Lectureship exhibit. This entry was posted in Exhibits and tagged Barbara A. Oliver, Exhibits, FHU, Richard Mansel on 2010-02-09 by J. Randal Matheny.